In life, I have learned it is always the first step and sometimes the first few steps which are most crucial and difficult to take. 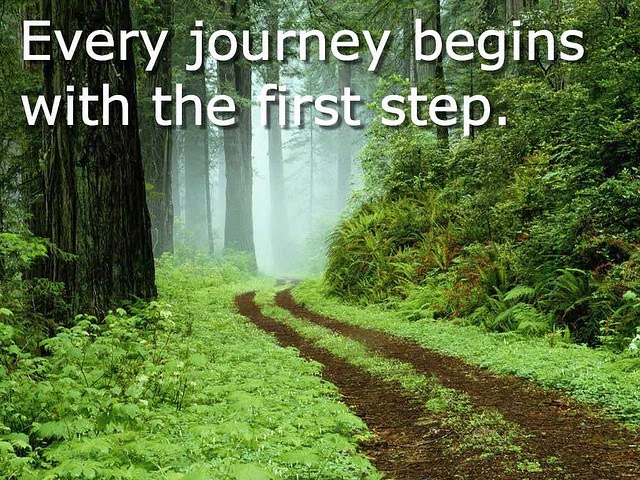 But once you have taken the first step the rest of the journey passes by, just like a cake walk. At this first step anyone and everyone thinks a lot about whether I should do this or not or I want to do this or not, how will I do this, what others would think about me, etc etc. But here others are not important; it is you who need to decide who need to do the things. Everyone travels his or her journeys on their own. A lot of questions strikes to the mind, but once you have decided that you have to do this or you need to do this and taken the first step. Then you have only two choices either to quit it or give it your best shot become a loser or winner. The choice is always yours. The important thing is you just need to initiate somewhere sometime. While writing anything it is always the first line about which I think the most and the rest goes with the flow. And you don’t need to worry about the result. Although while writing we can always review it and rewrite it again or edit it later. But we do not get such options while writing the lines of our lives that is the reason we think so much. when I write I jsut write , other than spelling mistakes I dont edit what I write .. because it comes straight from heart and mind .. once you start to edit i think we somehow change the first idea what we were writing about ..
Good to see your comments on my blog after long. I had almost left blogging then thought of taking the first step to start it again and your comment on my previous post encouraged me more to do it.. So thanks to you for taking time out for remembering me. And yes, the first thought is from heart and then mind plays with it in editing.